Sea Cider is a farm-based cidery located on the Saanich Peninsula just minutes from Victoria, on Vancouver Island. Our ten acre farm is home to over 1,300 apple trees, made up of over 50 varieties of heritage apples. 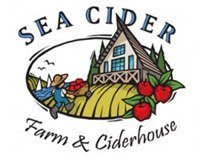 Sea Cider opened its farm gate for business in 2007 when owner Kristen Jordan purchased the property with a vision of creating an organic farm and orchard and producing traditional fermented artisan ciders. Since then, we’ve grown to an annual cider production of over 7,000 cases and growing. We continue to pride ourselves on crafting traditionally fermented ciders from organically grown apples, and our award-winning cider is now available throughout B.C., Alberta, Manitoba, Washington State, Illinois and Oregon. Sea Cider Farm & Ciderhouse has also become one of the top agr-tourism attractions in Victoria and Vancouver Island. Relax at our ciderhouse, and drink in the panoramic water views overlooking our orchard across the Haro Straight to James Island. The Ciderhouse is open for tastings and tours year round 11 to 4. Sea Cider is also the perfect venue for large and small weddings and corporate events and family functions. Enjoy a flight of ciders paired with organic cheese and other local delectables. Top off your visit with a tour and browse our selection of hand crafted farm product.